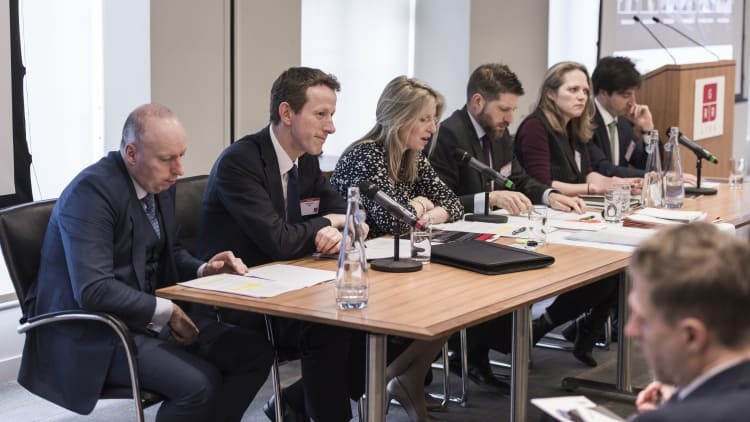 In a panel chaired by Stephenson Harwood partner Susan Moore and Willkie Farr & Gallagher partner Graham Lane, panellists at the March event discussed the so-called retail apocalypse, the struggles of the aviation and construction industries, and asked just when a CVA is appropriate. The recent troubles of the UK’s retail and casual dining industries are visible on many of the country’s high streets, where familiar names have begun to be replaced by empty shop units, as many of the UK’s and the US’ high-street chains have had to restructure their debts or start insolvency proceedings. Company Voluntary Arrangements (CVAs) are now seeing increased use. Lane asked the panellists for their thoughts on this sector, saying “it’s impossible to know this week, this month, this quarter”. KPMG partner Ed Boyle told the session it is now “hard to avoid the conclusion that this is the year of the CVA”, noting that several retailers and casual dining businesses have used them already and that there are more CVAs being mooted. Boyle outlined the reasons he believes so many companies have struggled. Consumers are finding it easier and cheaper to shop online and retailers are cutting back after realising they have too many stores. But some problems in UK retail have been imported from overseas, such as the collapse of US retailer Toys “R” Us leading to the closure of its UK stores. CVAs have been used as a means of restructuring by retailers, including Toys “R” Us and New Look in addition to burger chain Byron and Italian eateries Jamie’s Italian and Prezzo. Since the March conference, things have moved on. UK and Irish department store chain House of Fraser has launched a CVA that will see it close 31 of its 59 stores, which was approved by creditors on 22 May, despite opposition from landlords who said it would restrict their rights. The company’s Chinese parent announced in May that it plans to sell its shares to another Chinese company. Meanwhile, UK clothes retailer Next has started to demand “CVA clauses” when renegotiating leases, which would require landlords to reduce rents if a neighbour receives a reduction in rates as a result of a CVA. Year of the CVA it might be, but Boyle said there are limits to what a CVA alone can achieve. They “definitely work best as part of a comprehensive financial and operational restructuring, not on a stand-alone basis,” he said. He said that CVAs “can’t be an answer in all situations” as a burning platform is needed to propose one “because if the CVA doesn’t go through, then the alternative has to be administration or similar”. He also agreed that CVAs are not the only solution. “You need to address the needs of the business and some of these businesses really need to reinvent themselves,” he said. Milbank Tweed Hadley & McCloy partner Karen McMaster noted that a lot of UK casual dining companies have manageable capital structures and a small group of lenders. She said this lends itself to a style of restructuring “where you’ve potentially got a loan-to-loan transaction plus operational restructuring, which is the best way for a capital company to right-size its balance sheet quickly and painlessly with the least amount of distress and loss of the business”. But she said that “for the bigger capital structures it does feel like the traditional way of restructuring might not be fit for purpose”. There are some retailers whose brands are almost beyond the sum of their parts, McMaster noted. She pointed to “the infamous intellectual property trade that J Crew did with its brand”, in which the US clothes retailer sought to restructure its debt by shifting its branding rights to foreign subsidiary J Crew Cayman. McMaster noted that with UK clothes retailer New Look’s CVA was an attempt by bondholders “to shut all of that down to make sure that that wasn’t going to be something that they were facing”. Moore noted that there have recently been instances where “the complexity of the operational restructuring has itself created problems in the financial restructuring, especially where you’re dealing with different jurisdictions”. She said that in these cases there are interdependencies between companies in different jurisdictions within a given group. “That’s proved to be quite a hurdle,” she added. GRR has extensively covered the recent upturn in restructuring activity within the retail and casual dining industry. The aviation industry has also been in the spotlight, after last year’s collapse of UK airline Monarch and the British government’s decision to open an independent review of airline insolvencies in the United Kingdom. GRR Live’s panellists compared Monarch’s insolvency process with those for airlines in continental Europe, including Germany’s Air Berlin and Italy’s Alitalia. The most interesting comparison to be made between the three airlines, said Boyle, whose firm KPMG acted as Monarch’s administrators, is that Air Berlin and Alitalia were able to continue flying during their insolvencies, but Monarch was not. There were three reasons for this, he said. The first was that the UK’s Civil Aviation Authority (CAA) withdrew Monarch’s operating licence on safety grounds. The CAA “don’t want pilots distracted from the important business at hand of flying and managing take-off and landing by concerns about the impact of the insolvency on their job”. The second was the high number of suppliers and other stakeholders whose support is required to enable an airline to keep going. When planes are flying around the world, there is a concern that an aircraft could be grounded if the moratorium is not respected overseas or if suppliers “withdraw service or hold the company to ransom”. “It’s very difficult to keep an airline flying when you’ve got so many different stakeholders that you need to ensure are willing to continue,” he added. In Germany by comparison, Boyle said that “substantial government funding was put in place to solve the problem and ensure that suppliers and others continued to be paid and had reassurance that they would be paid”. He said that this German response dealt with the practical issue that stopped airlines from flying, namely the concern that creditors might take action. As for the aviation authorities’ responses, he supposed that the Italian and German regulators were “willing to allow the planes to continue to fly, and took a different view of the local insolvency processes” their airlines were subject to. Bosco noted that “Alitalia is doing the second round in extraordinary administration” and that this is “quite common in the US because you’ve airlines that have gone through it two times or three times”. He pointed out that in the United States it is common for planes to fly during bankruptcy, but that it is fairly unusual for European airlines. “I think what has been proven with Alitalia and others, is that some of the reforms that have been done all over continental Europe to reform the local jurisdictions are actually working”, because they “allow for complex restructurings to be done”, said Bosco. Sullivan & Cromwell partner Chris Howard said that Chapter 11 is a lot better for airline insolvency because the companies can get an automatic stay with the lessors. With Chapter 11, there are “ipso facto rules that can sometimes transcend regulation” that allow airlines to carry on with their licence, while they “can get DIP financing very quickly on a priority basis”, he said. “I’ve never known a US airline that’s in bankruptcy, not just flying to Heathrow as if nothing has happened,” he added. When asked by a member of the audience if UK airlines can ever be successfully restructured, Howard said so long as the CAA continued to show itself risk averse “time and again”, it would be difficult for UK airlines ever to be successfully restructured. “But if you look at the independents or at Monarch, they don’t really survive very well,” he said. Bosco predicted “another three airlines going bankrupt in 2018”, saying that although some countries’ airlines are doing well now because their economies are buoyant, they may be vulnerable if their economies were to slow down. The collapse of British construction services sector operator Carillion in January attracted a great deal of attention in the United Kingdom, not just in the restructuring industry but also in Parliament and the media. British MPs have heavily criticised the company’s directors, but have also attacked the role of the Big Four financial services firms, who advised Carillion in various capacities. While a parliamentary committee has referred the Big Four to the Competition and Markets Authority (CMA) to consider breaking them up, other construction services firms have experienced financial difficulties, including Interserve, which was recently forced to restructure its debt. We will continue to see restructuring activity in the UK construction services sector, Bosco said. In the case of Carillion, it “is very difficult to understand what the liabilities are” because “a lot of stuff is off balance sheet. It’s going to cause a lot of headaches”. In this case “it’s very difficult to raise financing in a distress situation. That makes it very tough”. For businesses of this kind, especially when they are distressed, “it’s hard for listing creditors and new creditors to get their head around its liabilities and its assets”, McMaster said. She compared the restructuring of Spanish technology and engineering company Abengoa – which entered insolvency proceedings in a number of jurisdictions and restructured via a Spanish scheme of arrangement – saying that it was saved by “the fact that it had a couple of assets that people could get comfortable with”. McMaster noted that Abengoa’s assets included “publicly listed shares that people could understand the value of” and a power station, which was also easy to understand. She said the company was able “to isolate those two crown jewels” and use them to raise new money. She said that companies in this industry often need new money solutions, and that these solutions “require a lot of good assets that can be ring-fenced, isolated from the rest of the group and then financed”. Howard said there are lots of drivers of restructuring in the construction services industry, and that there is likely to be more of it in the future. He said restructuring these companies is difficult “because trade credit insurers run for the hills quite quickly, and you can create a big working capital need”. What else should restructuring professionals look out for? In addition to discussing the UK high street, aviation and construction, the “inflection point” panel discussed prospects for restructuring professionals in the financial services industry. Notable recent cases in this sector include the restructuring of UK rent-to-own company Bright House and the administration of UK stockbroker Beaufort Securities. Introducing the topic, Moore noted that a lot of recent activity in this industry has been driven by regulator activity. The UK’s regulator in this area is the Financial Conduct Authority (FCA), which Howard said has been the catalyst of the major restructurings in that space. “It’s always the FCA that steps in,” he said, citing the regulator’s roles in the restructurings of Bright House and insurance broker Towergate. He predicted the FCA’s recent review of the payday loans industry may in time reap restructuring work in that space. “I don’t think we’re going to get to a position where we see every single space confronted by restructuring, but I think it’s going to be a select few and good management would be key in these spaces,” Howard added. He observed that certain auto finance providers in the United States have started to come to restructuring solutions, adding that he expects to see more of this in future. The speakers later discussed oil and gas, where restructuring professionals have recently been called in for companies such as the UK’s Bibby Offshore, France’s CGG and Seadrill of the Cayman Islands. Bosco said he expects there to be a great deal of activity in this sector, as oil and gas companies often have “billions and billions” in debt. Howard agreed, noting that there had been an eight-fold increase in the number of gas companies that collapsed in the 18 months before the conference. However, he said that oil prices and plans made by the Organisation of Petroleum Exporting Countries (OPEC) could help the industry’s fortunes. He said the recent experience of oil and gas companies that have restructured suggests there could be “a volume of restructuring with some consolidation along the way”. McMaster said recent restructurings in this industry have highlighted many interesting options in terms of restructuring forums. She said that many oil and gas companies, especially drillers, are taking the view that they need to deal with their holdco debt rather than dealing with their underlying assets. The discussion on oil and gas led on to the topic of shipping, where restructuring professionals have been kept busy by many companies, including South Korea’s Hanjin and STX Offshore in recent years. But the panellists reflected that restructuring activity in this sector seems to be slowing. “As far as shipping is concerned, there is a degree of recovery in terms of new money deals, but there is still restructuring activity in the sector, depending on where the particular market is within the cycle,” said Moore. For instance, the German KG market seems to have “more or less exhausted itself”, she said, but certain markets seem to still be in difficulty. He said that many lawyers in the shipping industry believe the sector is on the way up, and “there’s a lot of talk about raising new money in the sector and a lot of refinancings”. But he did not predict the sector was “quite out of the woods yet” and said he believes there is still work for restructuring lawyers in this industry. GRR Live London took place on 22 March at the office of Stephenson Harwood in London. Before the panel, Deloitte’s chief economist Ian Stewart addressed the delegates on threats and challenges to the UK economy. The final session saw another panel of insolvency experts engage in a back-and-forth discussion in the style of the BBC’s Question Time, discussing pre-submitted questions with their fellow panellists and with attendees.